In Suffolk we can offer a range of boutique hotels from small and stylish converted Inns to the splendid opulence of a converted water mill at Tuddenham, or the Restaurant with stylish rooms at The Great House in Lavenham. All offer a high standard of comfort complimented by individual character and charm. Boutique hotels often have fewer rooms than a regular hotel, and all are independently owned, so you can expect a personal and friendly touch. Owned by Ruth Watson, the The Crown & Castle in Orford offers a friendly setting, fantastic food and 21 bright and stylish bedrooms with contemporary en-suite bathrooms. The garden rooms have modern décor with a casual, relaxed style. They each feature a semi-private terrace with a fantastic view of Orford Castle. The Trinity restaurant is relaxed and upbeat serving quality locally sourced produce, it has won 2 AA rosettes, and is featured in the Good Food Guide and the Michelin bib gourmand. This charming hotel also welcomes children and well behaved pets. To book your stay, click on the link above. The restoration of this Grade II listed house, just outside Diss, was completed to a very high standard with the richly mixed Tudor and Victorian architecture blending with clever interior design to provide contemporary facilities (eg Wifi throughout) in an unobtrusive way. 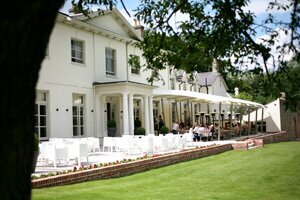 Fine dining is a feature of the Hotel and there are two richly designed yet relaxed Victorian dining rooms overlooking beautiful grounds to choose from. If the weather permits you can relax outside eating al fresco on the stunning new terrace designed by three times Chelsea Gold medallist Thomas Hoblyn. The Westleton Crown, set close to the Suffolk Heritage Coast between Southwold and Aldeburgh, is a traditional coaching Inn dating back to the 12th Century. This lovely Inn retains the rustic charm and character of its heritage, but with the added sophistication and comforts that the modern day guest has come accustomed to. The bar has a 'local pub' feel and offers a large selection of ales and wines, and the AA 2 rosette, home-cooked menu may be sampled in the elegant dining room, cosy parlour, stylish conservatory, or outside on the charming terraced gardens - weather permitting! Visitors do not need to be guests at the hotel in order to dine there. Other highlights include log fires, 25 comfortable rooms (including family rooms), dog friendly accommodation, plus nearby attractions such as Dunwich Heath and RSPB Minsmere. Please click on the hotel's link above for more information. If you think B&B's are plain, think again! 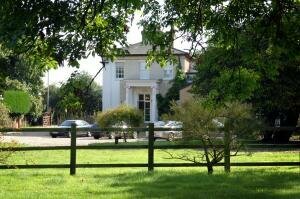 There are lots of impressive Luxury Bed and Breakfasts in Suffolk for a pampering, relaxing break. Please click on the link above to discover them!. The Great House, Lavenham is a multi-award winning boutique hotel in the market place of this delightful medieval village, offering high quality accommodation and outstanding French food. The house was extensively renovated in the 18th Century, but from the outside has a distinctly Georgian appearance. It was converted into a luxury boutique hotel with restaurant in 1985 by its French owners, Regis and Martine Crepy. 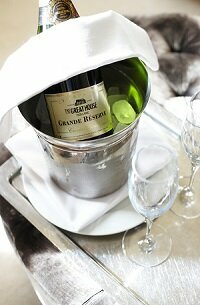 The cuisine is award winning, and the five en suite bedrooms are light and elegant. You will discover a multitude of hidden delights in the rooms, including generous sized beds, a mini-bar, espresso machines, plasma screen television, wifi, hifi, hairdryers and ironing boards, complimentary fruit and a decanter of sherry offers a welcoming touch. In summer the French doors open onto a lovely stone-paved courtyard for drinks, lunch or dinner. Treat yourself to a short break at The Great House! Since opening Tuddenham Mill has taken Suffolk by storm with its uniqueness combined with a genuine passion for great food and wine, the ultimate in bedroom comforts and discreet yet attentive service. Popular with Londoners escaping to the country, the 15 rooms are unashamedly designed to tempt, from the over-sized beds right down to those all-important little details such as walk-in showers, indulgent baths, fluffy bath sheets and exclusive toiletries by Espa. Throughout the Hotel you'll find Italian designed and sourced furniture, Bose sound systems and Loewe flat screen TVs. Naturally fine dining is an essential element of their offering, and Tuddenham Mill's restaurant has been awarded 2 AA rosettes for culinary excellence. On the à la carte menu you'll find seasonally inspired, wholesome British dishes that complement the Mill's contemporary surroundings. 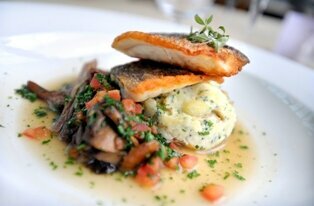 The Gatehouse, Ipswich is a hidden delight. Resting in 3 acres of mature grounds on the outskirts of Ipswich, this small-yet-elegant, 13-roomed boutique hotel is designed in the Regency style and promises visitors a relaxing stay. The food served here is locally sourced and expertly prepared, and comes complete with a wonderful wine list to compliment your meal. The peaceful location on the edge of the town, alongside the beautiful gardens, provides the perfect setting for a romantic dinner or weekend away. 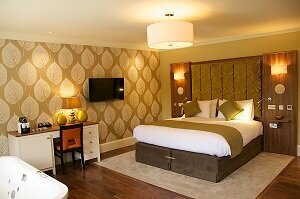 What's your favourite Boutique Hotel in Suffolk? Let us know by Sending Us an Email.